The watch brand CYRUS was founded by two cousins - Julian and Laurent. The architect and engineer, Julien has been developing and designing of products, graphic design and brand responsible for the 3D-animation. Julien, closely working with Laurent, is watching for new trends and material selection. Laurent spent several years in marketing and selling of watch products in more than 60 countries. 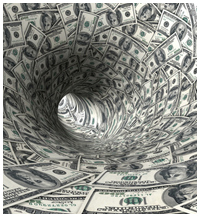 He has developed a marketing strategy and use special marketing and sales tools. The roots of the brand’s history begin with the conqueror Cyrus the Great (2500 years ago). The watches CYRUS, which evoke strong emotions and spirit of the winner, have been established as a result of long and painstaking research. The watch company CYRUS has developed and patented the unique properties and functions of the watch. These three-dimensional functions and properties are the only of its kind. Every detail of these watches is made in Switzerland, and all components are thoroughly tested. The model, after making in the studio, is being tested in real conditions a few months. The CEO of the company is experiencing the watches in foot race, conquest of mountain tops and in other competitions. Each product is conceived, designed and tested to ensure that their owner will be proud of his acquisition. The brand CYRUS released a collection CYRUS KLEPCYS, equipped with a mechanism CYR598 (named after the year of Cyrus birth - 598, the BC), with unique functions and properties. The collection KUROS has models with cases which design was developed three years. These wristwatches have a unique elegant shape that makes them recognizable at first sight. The main objective of the brand CYRUS is the highest quality of producing watches. Designers and watchmakers make this goal achievable. 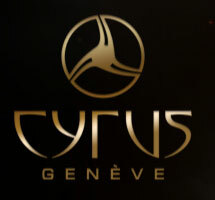 In 2011, 16-21 January at the Geneve Time Exhibition, the brand CYRUS presented its watches. Departments of Research, Development and aftermarket companies of the company CYRUS are situated Le Locle (Switzerland). The best known experts and watchmakers, who manufacture masterpieces of watch industry, are working to create the unique watches CYRUS.